1883 Fermenter filled for the first time in 100 years. Courtesy Buffalo Trace. 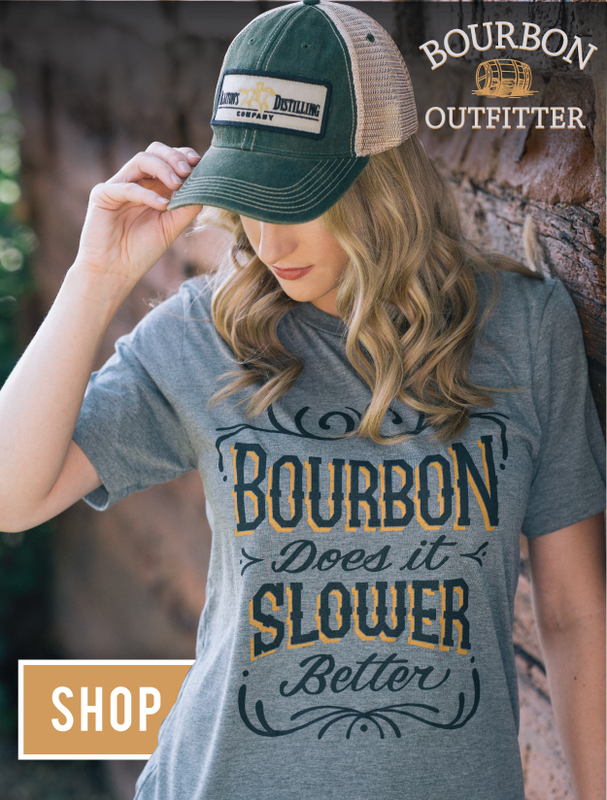 When Colonel E.H. Taylor built his fermenters at Buffalo Trace in 1883, he dug brick pits in a building on the banks of the Kentucky River, lined them with copper, and distilled a sour mash bourbon whiskey. 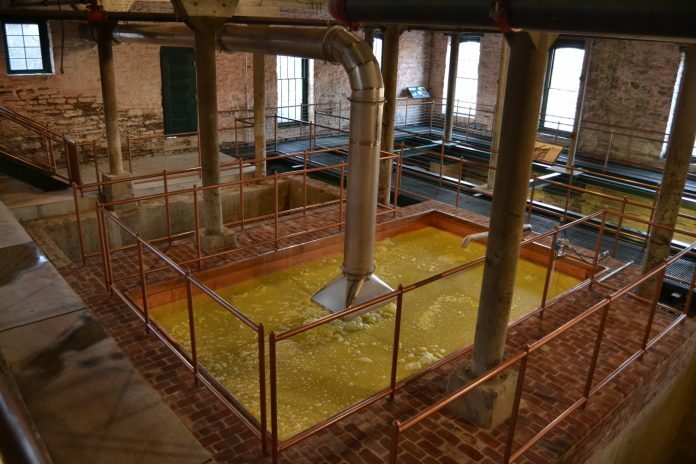 136 years later, Buffalo Trace is making bourbon again in one of those same fermenters. 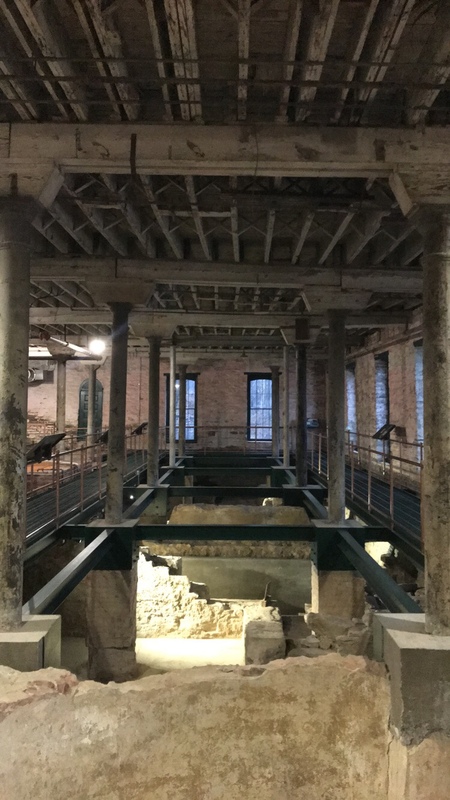 What’s now known as “Bourbon Pompeii” was first discovered in 2016, when Buffalo Trace began renovations on the historic O.F.C. building to create a new event space. After breaking ground, brick and limestone structures were unearthed beneath the concrete floor. The excavated fermenters at Bourbon Pompeii. The distillery immediately scrapped plans for renovation, choosing instead to preserve and restore this piece of bourbon history. Between the scarcity of Pre-Prohibition records and a fire at what was then O.F.C. Distillery in 1882, establishing the timeline of the building wasn’t easy. Buffalo Trace called on bourbon archaeologist Nicolas Laracuente to help excavate and research what he calls a “pristine” archaeological site. Last year, the distillery rebuilt the top of Fermenter No. 7 with bricks found during the excavations and cleaned up for use. They lined the bottom and sides of the brick pit with copper, just as it would have needed when first built. It was connected to a microstill with new piping and filled on January 10th, 2019 for the first time in over 100 years. Video courtesy of Buffalo Trace Distillery. As a nod to E.H. Taylor, the fermenter is currently distilling an old style sour mash whiskey. Buffalo Trace is seeking a patent for this sour mash distillation process. Tours of this one-of-a-kind look at distilling history are available Monday through Friday, by reservation only. Guests walk over the excavated fermenters and visit the E.H. Taylor house on the property before tasting some of the bourbons currently made at the distillery. Tickets can be procured here.